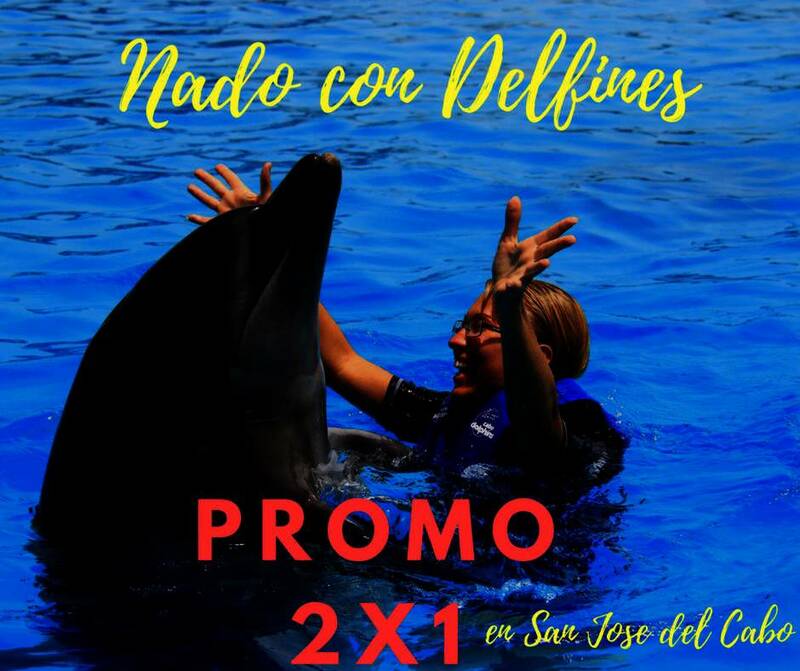 If you want to have an amazing experience with dolphins were also a beautiful dolphin gives you a ride, this is the program for you. Give him kisses, dancing with the dolphin, hug him, feed him and enjoy watching them jump and doing amazing water activities. The Dolphin Experience program is designed for those who want to deep a little more into the world of dolphins, you will do many activities with the dolphin including giving kisses, also you will receive kisses from the dolphin, you can dance with the dolphin, you are going to feed him, also the dolphins goes in to the platform so you can embrace them, touch their belly and take a beautiful memory of your experience in this low platform that only Cabo Dolphins can offer, and of course you can choose a ride with the dolphin taking of its huge dorsal fin, or a closer ride belly to belly. Experienced trainers will give you all the necessary information for the program security and instructions to interact with the dolphins. Note: People who do not do the tour will have an additional cost of $ 10 per person for transportation. Each child between the ages of 4 and 9 years must be accompanied by a paying adult in the water (16 or older). Departure Times: From 9 in the morning until 4 pm.